2018 Star Wars 1 oz Silver - Darth Vader Lightsaber - Uncirculated The Most Trusted Name in Collecting! The Dark Lord himself, Darth Vader, received his first-ever bullion coin in 2017 and became one of the fastest sell-outs! He has returned once more in 2018, but this time he came armed and ready! 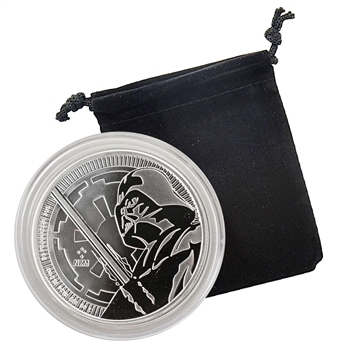 The 2018 Darth Vader Silver Lightsaber coin features our favorite villain with the iconic tool of his trade: his Sith lightsaber! Impressive. Most Impressive...The Dark Lord is in Silver Once More! The design of this coin features Darth Vader with his iconic Sith lightsaber. The perspective of the coin makes it look as if he is looking down upon you, ready to cut you down with his lightsaber with the iconic Empire symbol etched into the background. The reverse of this Star Wars coin displays an image of Queen Elizabeth II and was produced by the Perth Mint on behalf of the Island of Niue. The Perth Mint is the only mint to ever strike official licensed Star Wars coins, and they have placed a strict mintage limit of 250,000 on this year’s 1 oz silver Darth Vader lightsaber. 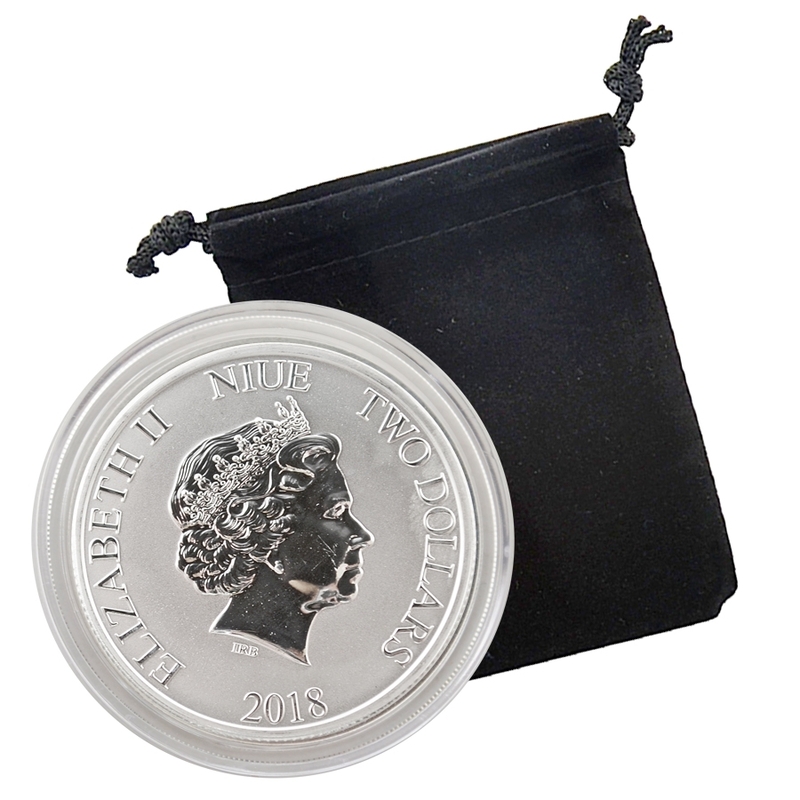 Each Silver Dark Lord will be struck from .999 fine silver and arrive encapsulated and in a custom display pouch. Obverse: Darth Vader with his iconic Sith lightsaber. The Perspective of the coin makes it look as if he is looking down upon you, ready to cut you down with his lightsaber. The background around Lord Vader is the Imperial logo that has become iconic. The coin also has the inscriptions “ 1 oz” “999 fine silver” “Lucasfilm Ltd.” And the New Zealand Mint mint-mark. Reverse: Features Queen Elizabeth II of England in crowned profile, the inscription ELIZABETH II, the date of issue and denomination also appear.